Judges in North Carolina do not have statutory authority to impose an obligation on a supporting spouse or parent to maintain life insurance in effect for the benefit of a minor child or dependent spouse. However, one of the many benefits of negotiating a settlement with your spouse is that you can agree to things that a judge does not have authority to impose. 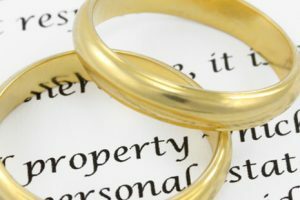 When parties negotiate child support and/or alimony, they can enter into a legally binding contract whereby the supporting spouse or parent agrees to maintain a life insurance policy in effect for the benefit of the former spouse and/or child until the alimony or child support obligation terminates. If you are a spouse seeking alimony or a parent seeking child support, life insurance should be an important consideration in your settlement negotiations. When negotiating an agreement to maintain life insurance to secure an alimony or child support obligation, it is important to establish and clarify which party will pay the premiums and which party will be the owner of the policy. When your future financial security is at stake, you need an attorney that you can trust to protect your interests. 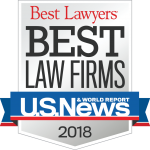 The family law attorneys at Gum, Hillier, and McCroskey, P. A. provide legal representation in a wide array of family related legal matters, including alimony and child support. Our family law attorneys are well-versed in the fine details of family financial matters. We are committed to serving the best interests of each client with keen attention to detail and strategic representation.